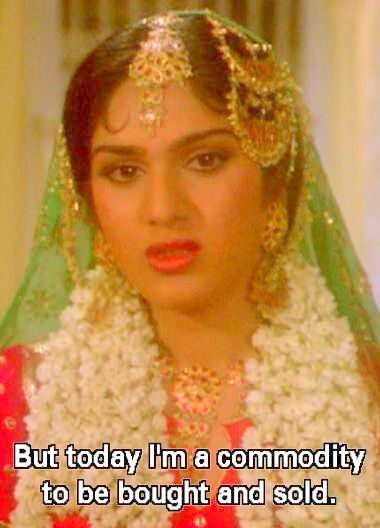 The lead Meena (Meenakshi Shishandri) never actually becomes a full-fledged prostitute, but I like to write prostitute with a heart of gold, so let’s just leave it like that, instead of the more clumsy nearly became a prostitute with a heart of gold. That sounds too awkward, doesn’t it? 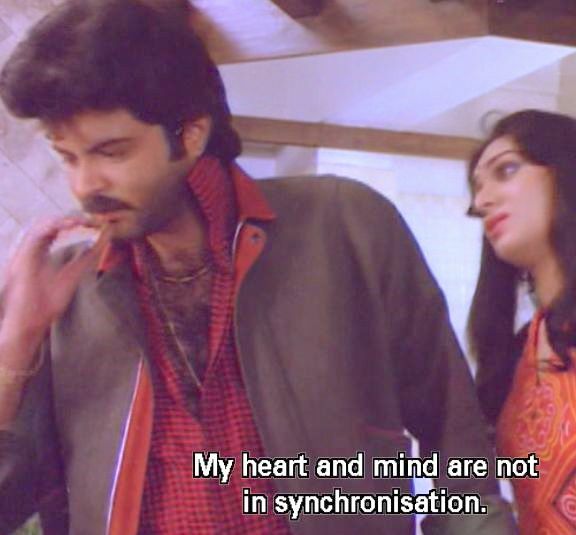 Here’s a nice little collection of screen captures of Meenakshi/Meena as a nautch girl before the lovable scoundrel Azaad, played by a well-mulletted Anil Kapoor, saves her from that fate. 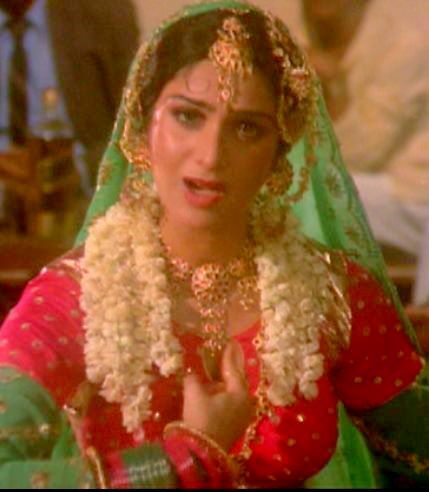 I just loved Meenakshi and can’t believe I hadn’t seen her in more films. I now would love to see her entire filmography and was able to find a mutual love for her at Nicki’s Hmong Chick Who Loves Indian Cinema’s blog and also at Bollywooddeewana. Meena’s innocent past included singing at the mandir and studying music under the guidance of her music teacher father. 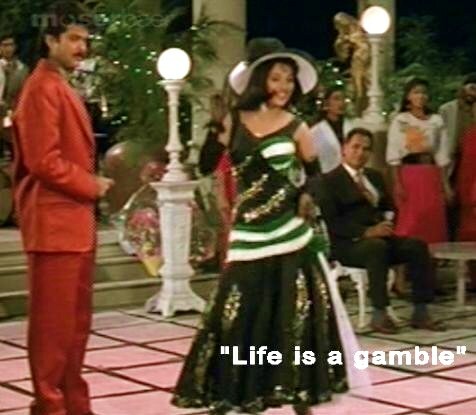 After a near miss at a prostitution career, Meena is catapulted toward super stardom and is half of the singing and dancing duo. How does that happen you may wonder? 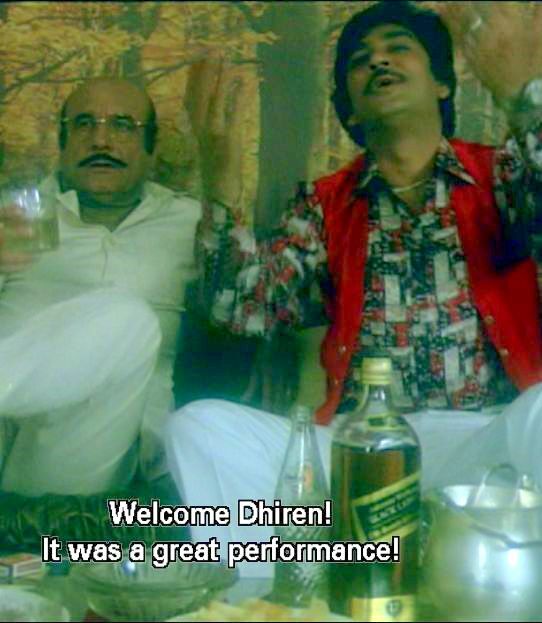 Well as it so happens, pop star Dhiren (Govinda!) sees Meena performing in a hotel lounge singing gig that Azaad secured for her and is immediately enthralled by her. 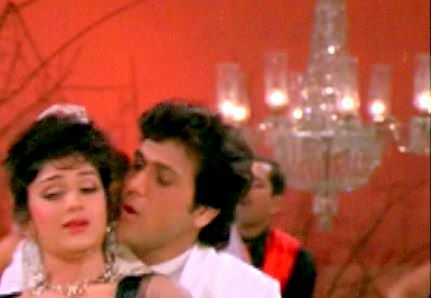 Govinda is very luscious in this film. 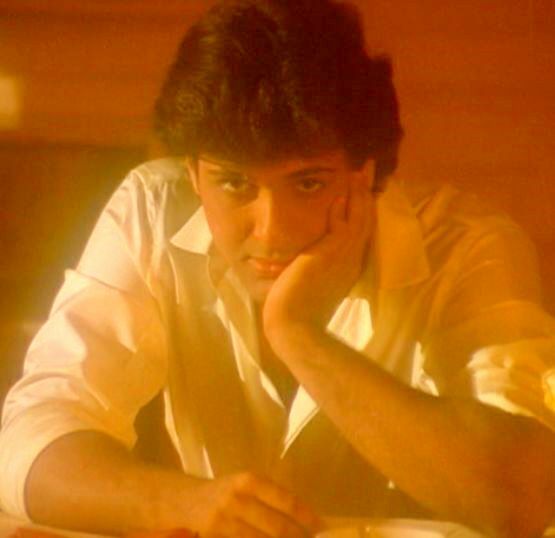 How would YOU like to be the focus of Govinda’s gaze here? Meena stays with Azaad, and he begins to fall in love with her and dream of a life away from the one he’s lived as a goonda. 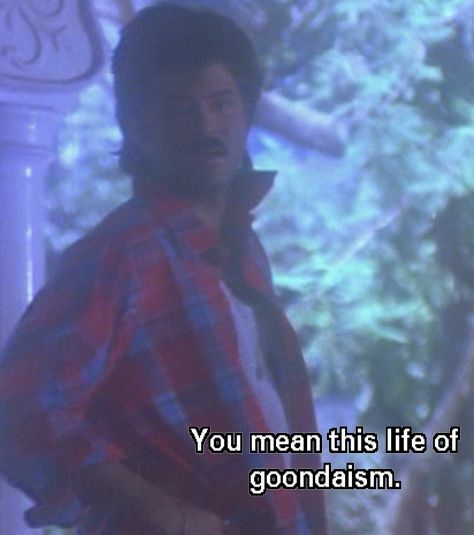 Ever since Azaad has lost his drive for the goonda lifestyle, his don, played by Anupam Kher, notices this change and tries to encourage Azaad to not lose his focus on crime. And if this isn’t enough trouble for Azaad, now Meena realizes that she’s falling in love with Dhiren, and the Bollywood love triangle begins!Meena is aware that Azaad is the one who saved her from the fate of being a nautch girl/prostitute, so she is indebted to him and thus rejects Dhiren’s love to fulfill her perceived obligation to Azaad. 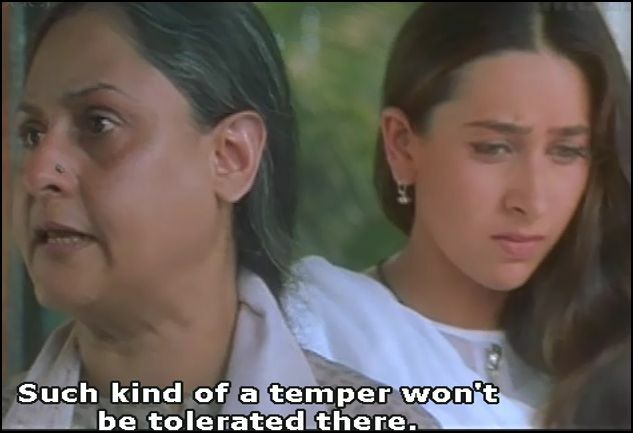 Eventually she lets Azaad know her feelings are conflicted. 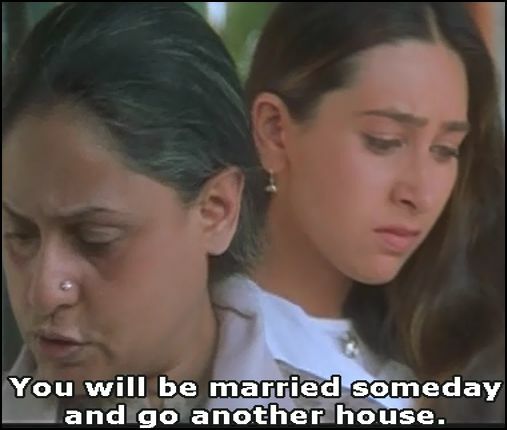 Azaad finds out about the feelings Meena and Dhiren have for each other and to stop their love from blooming rushes ahead with a marriage proposal. 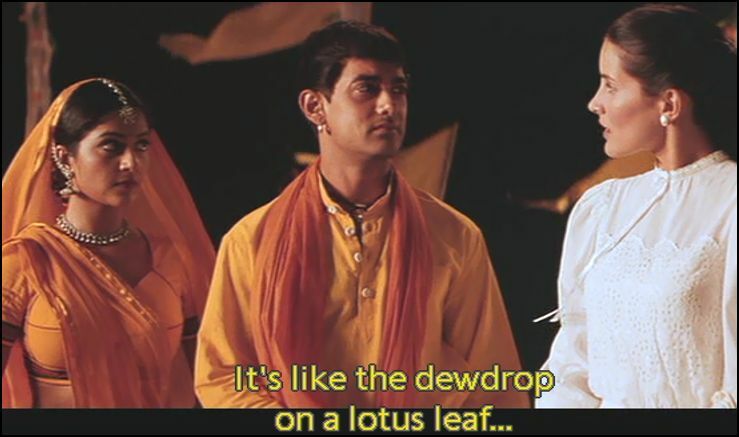 Dhiren falls into a sea of despair, thinking he’s lost his chance with Meena. 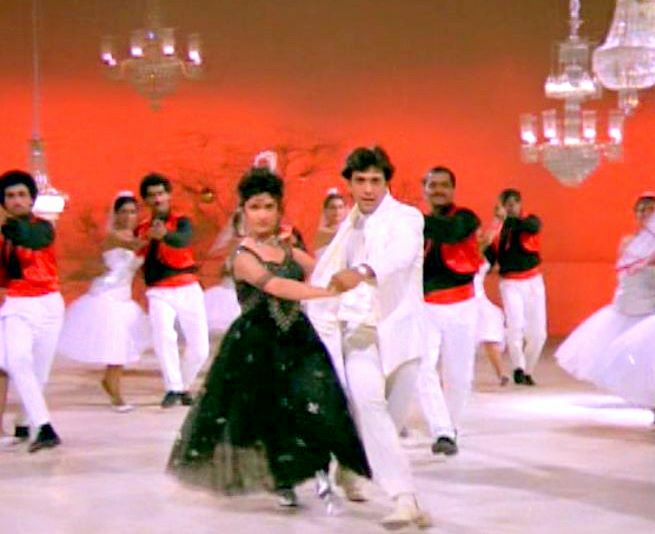 Normally I see Govinda as a jolly good time guy, dancing and prancing about, but behold the deliciously rare emo-Govinda! 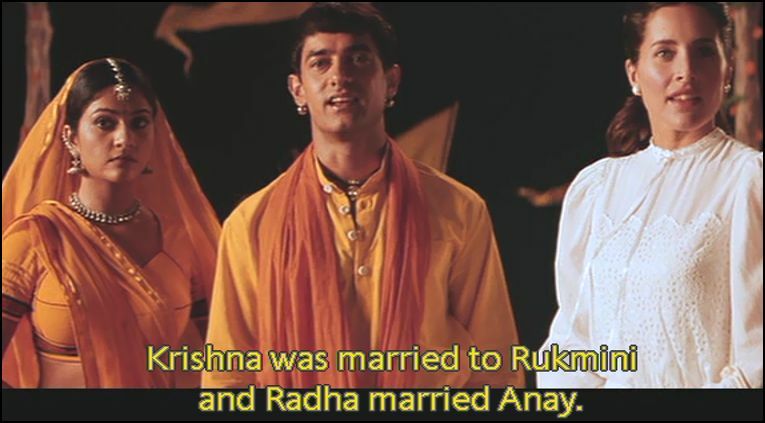 At a party to announce his engagement to Meena, Azaad becomes drunk and decides to deal with his jealousy over Dhiren and Meena’s love by telling everyone that he bought Meena from a brothel. Now that somehow did not help smooth things over. 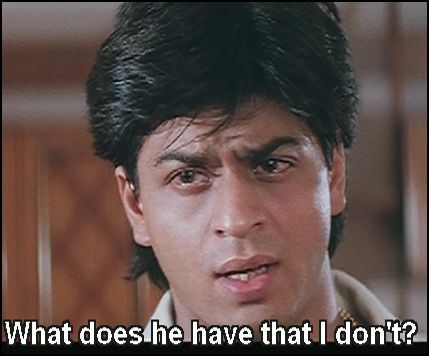 Dhiren is at the party, and witnesses Azaad humiliate Meena and can’t understand how she could agreed to marry Azaad. That’s right! Lipstick on the glass, a glass that is emptied of its Johnnie Walker red liable whiskey! Which can only mean *spoiler alert* that Meena and Dhiren went all the way! 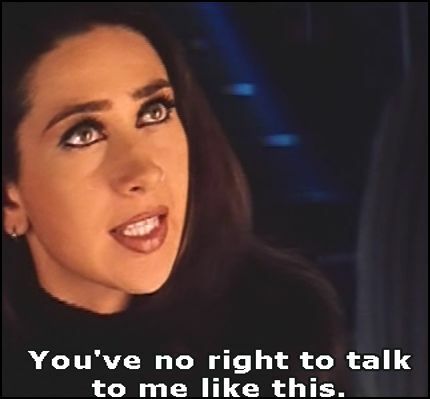 Meena tells a Azaad something like, yeah I slept with Dhiren, and! 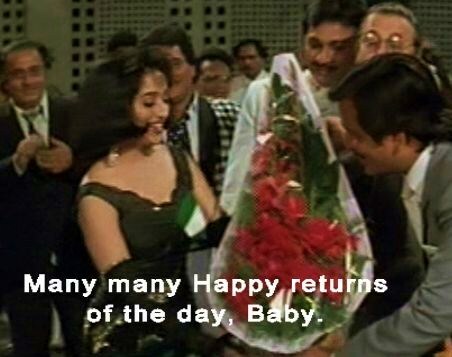 Then of course the fight begins over her love and a love triangle Bollywood brawl begins. How does it end? I’ll let you guess! The entire movie has been uploaded to YouTube with English subtitles HERE so if you need to know who ends up with who, give it a watch. Have you already seen this film? If so, tell me what you remember. Now before I leave, I have to share with you that Awaargi had so many instances of Johnnie Walker bottles, that felt obliged to make a visual record of it. 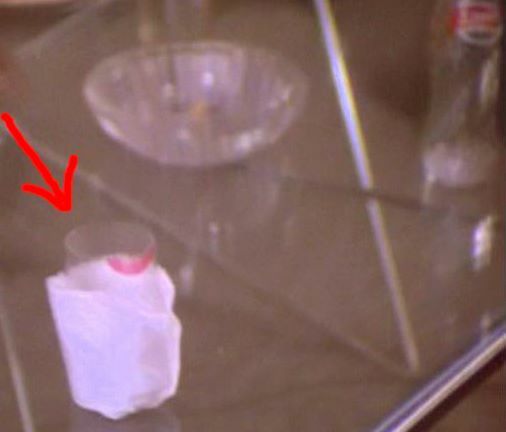 Some bottles are red label, others are black label, but they all show up in scenes here that warn of trouble brewing. 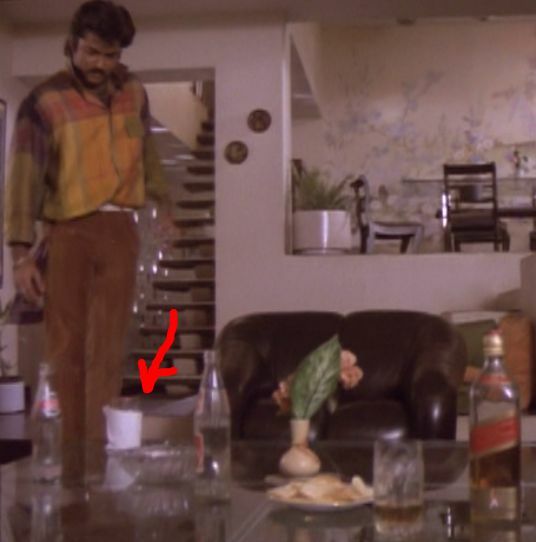 Let this be a lesson to you: When you see a Johnnie Walker bottle in a Bollywood film, trouble is not far behind. Now just LOOK and how lucky this shot is! 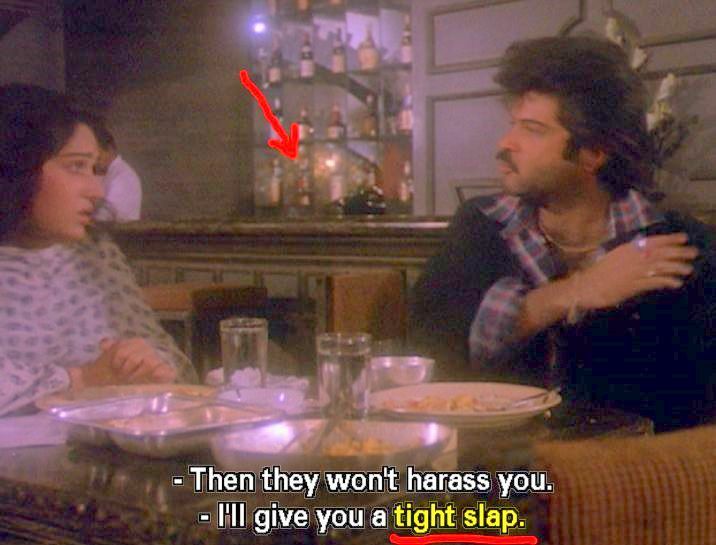 It includes BOTH the Johnny Walker bottle and a threat of the tight slap in the same shot! 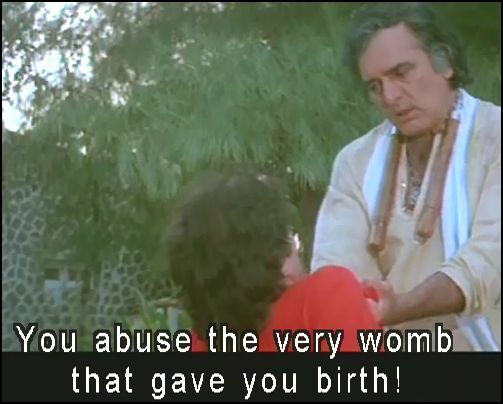 These of course are two of the things I track in all Bollywood films, so for this reason, I say Awaargi is a classic, because I really don’t take a Bollywood film seriously until I see a tight slap, or at least the threat of one, and a bottle of Johnnie Walker. 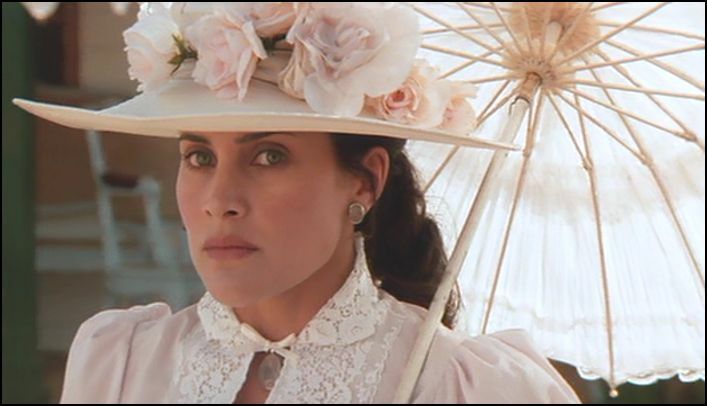 Elizabeth (Rachel Shelley), She’s more than just a gori extra. 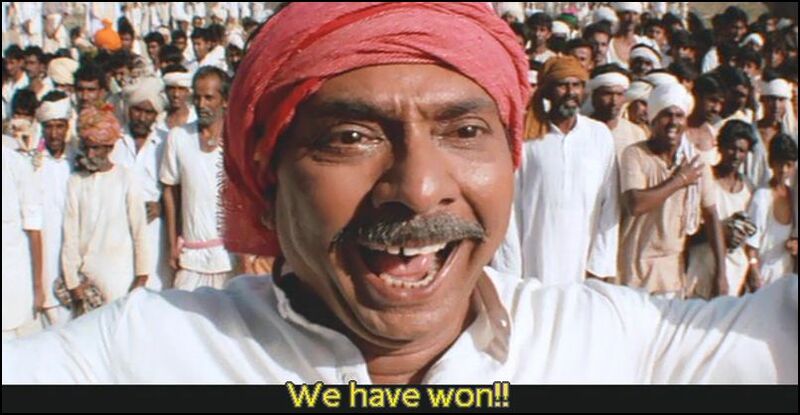 With the encouragement of theBollywoodFan, I decided to contribute to his Lagaan Week to celebrate the 9th anniversary of the release of the epic film. 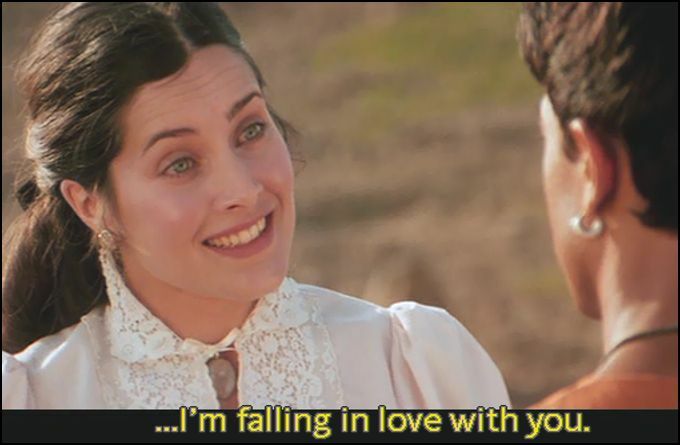 In order to develop something that would resemble a worthwhile blog post, I knew I had to re-watch Lagaan, since it had been a couple of years since I’d last seen it. 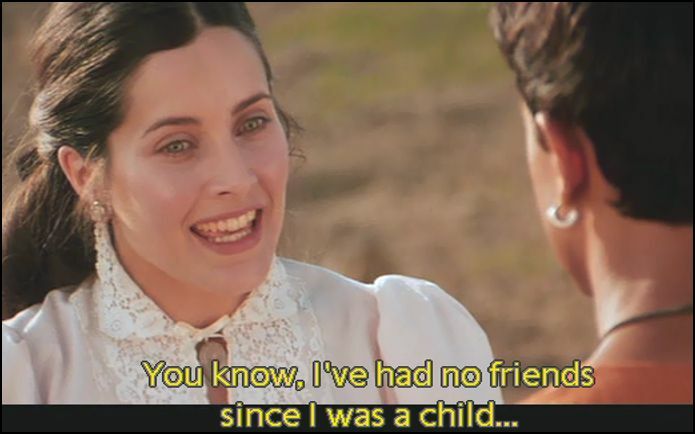 It was my third time seeing Lagaan, and I enjoyed it even more than I did the first 2 viewings, which I believe speaks to the quality of the film. 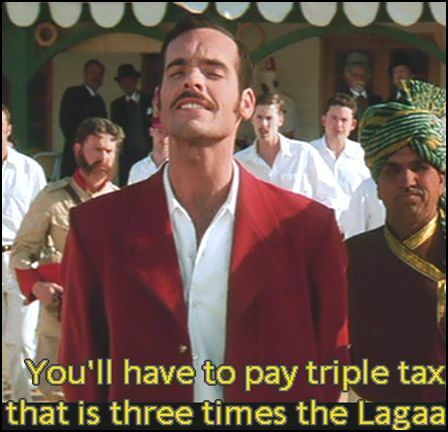 In case you don’t already know, Lagaan is about Indian villagers challenged by some British imperialists to a game of cricket, and if the villagers win they would not have to pay the Brits the unfair land taxes, known as Lagaan. 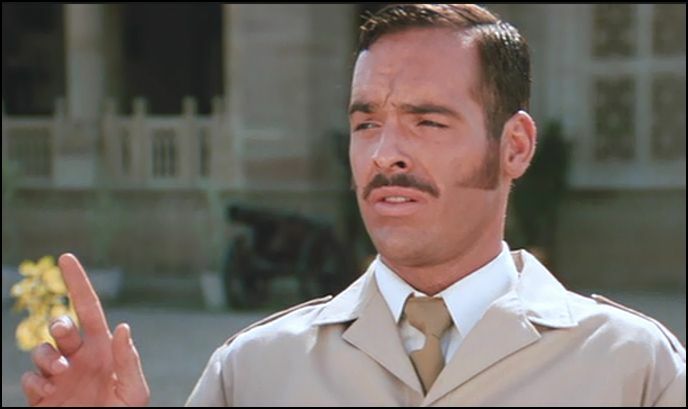 Captain Andrew Russell (Paul Blackthorne) is a one-dimensional scoundrel, and this cruel man offers a wager he believe the Indians will never win. 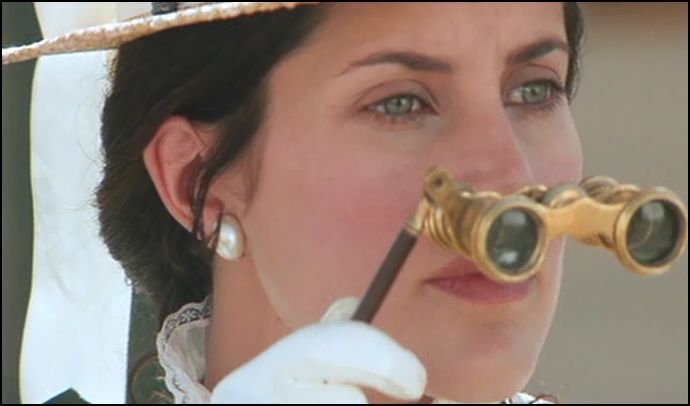 His naive, yet kind-hearted sister, Elizabeth (Rachel Shelley), arrives to India and begins to take in the scenes with a curious and open mind. 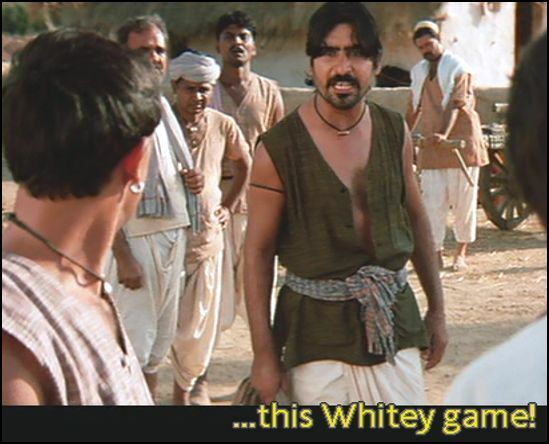 I love seeing white people pop up in Indian films, since I can pretend they are me! I can also think hey, I can one day break into the Indian Film Industry, see, there’s a white person too! So with this delusional thinking, naturally I was fascinated to see Elizabeth. Despite not knowing Hindi, she quickly sizes things up and all too soon she witnesses her brother’s maniacal ways. 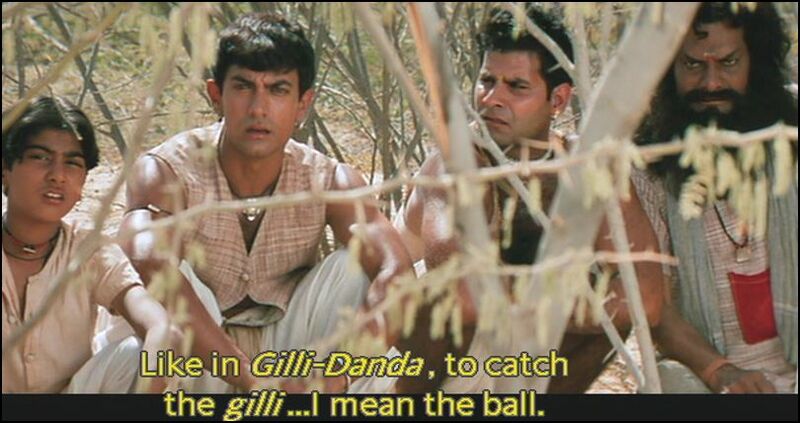 Lagaan (2001) is the movie that taught me about cricket, a little game I’d previously called gilli danda back in my village in India. Wait, sorry, no village, no India, I keep loosing track that I’m from America and am not Indian, please pardon me. 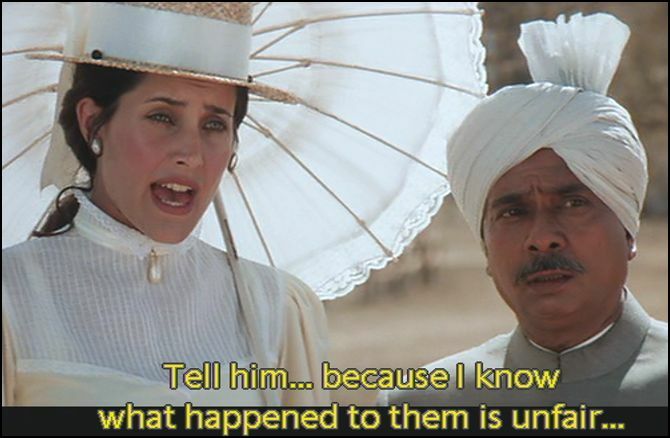 When I was in contact with theBollywoodFan about Lagaan week, I said I’d like to take the angle of writing about Elizabeth (Rachel Shelley), the gori extra since I’m always making note of my white sisters surfacing in Bollywood films; theBollywoodFan, wise beyond his years, calmly replied, “She’s more than a gori extra,” and I realized he was right! She is more than your typical gori extra, she not only plays a bigger role, but she also serves to bridge the cultural gap between the different groups, and helps us think, Hey, wait just one minute, not all these Britishers are so bad after all. 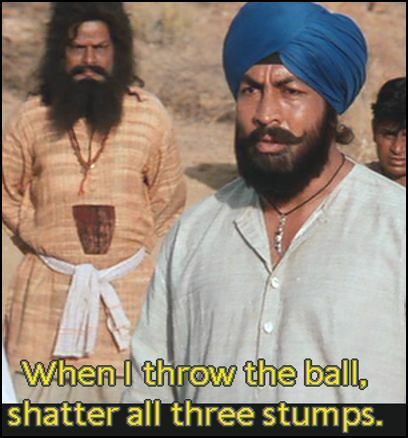 When the villagers are watching the game of cricket, Bhuvan ends up catching a ball out in the field which leads to a confrontation with some of the British players, that ultimately develops into the bet being made over the cricket game and the land tax. 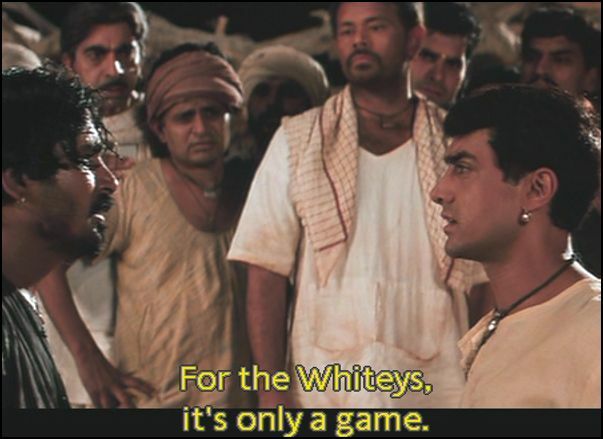 Elizabeth realized this bet is unfair since the villagers are sure to lose a game they don’t know when pitted against people who have a full understanding and longtime experience with the game, not to mention endless leisure hours to play since the Indians are toiling away to make them rich. 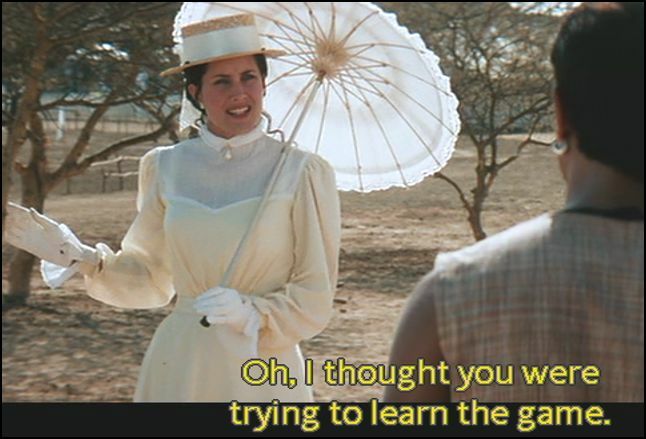 She sets out to try to right her brother’s wrong by helping the villagers understand the finer points of the game. Recruitment: Initially Elizabeth teaches a small group the game, but there’s still the obstacle of establishing a full team who will be up for the extreme challenge. Finally a diverse group of people are gathered from the village and surrounding areas since they have a common interest in eliminating the unfair tax by their common enemy, the British. 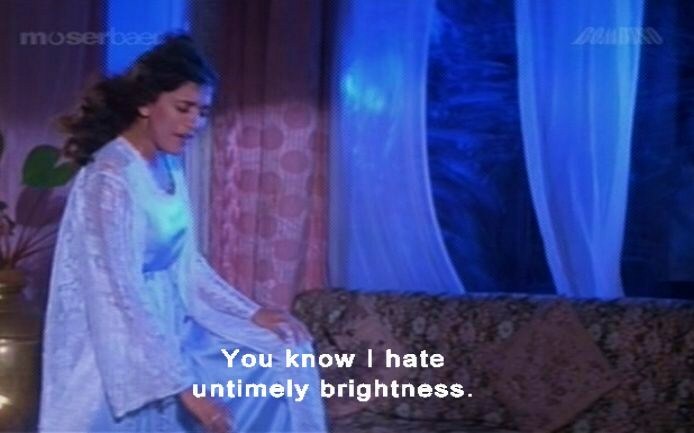 Jealousy: Gauri (Gracy Singh) is a young village woman who has her eye on Bhuvan so it follows that she starts to get concerned about all the time he spends with the white memsahib. Cultural exchange: Elizabeth helps to teach some of the finer points of cricket to the villagers, and in turn Bhuvan teaches her something about the Hindu legend of Radha & Krishna. 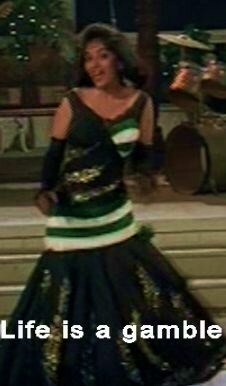 Elizabeth is enamoured by the festival and is even further taken in by Dandiya Raas number Kaise Na Jale with music by A.R. Rahman, playback singers Asha Bhonsle, Udit Narayan, Vaishali. 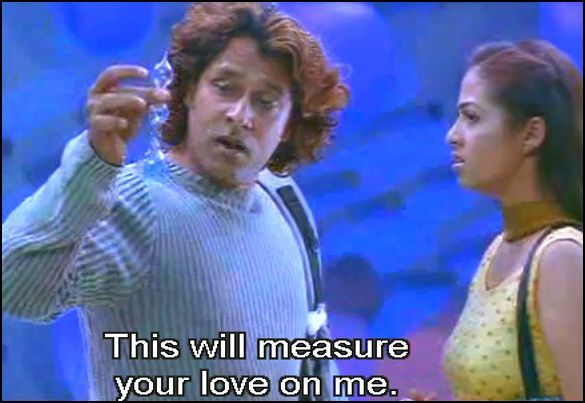 Confession: As it turns out, Gauri wasn’t far off on her women’s intuition because Elizabeth, who has managed to learn Hindi in a few days, confesses her pyaar love for Bhuvan. 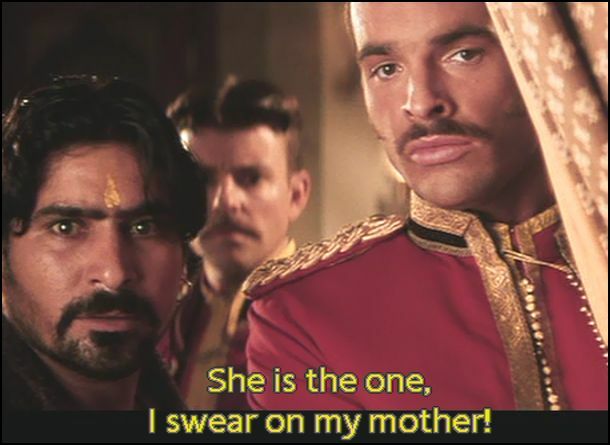 Luckily she’s able to save face since the part where she really lays it on the line is in English, so Bhuvan doesn’t understand, yet I think he may suspect it. Fantasy: The tune O Rey Chori, (playback singers Udit Narayan, Alka Yagnik, Vasundhara Das) includes Elizabeth’s fantasy of what it would be like if Bhuvan was in her British world, or if she was in his Hindustani duniya. 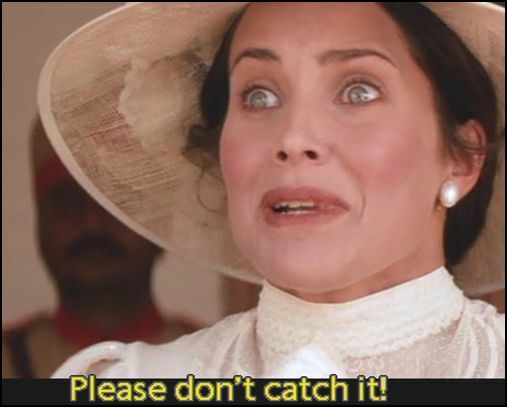 Elizabeth is caught: A double crossing villager with an ulterior motive informs Captain Russell that his sister is helping the villagers to learn cricket. With shame, I admit I did find Captain Russell quite handsome, despite his evil deeds. Do you? 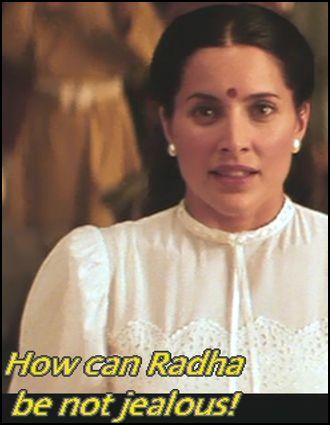 If I can answer for Elizabeth here, I’d tell her brother that it would be the delicious food and the Indian Film Industry that would allow her to turn against her brother, but I suspect she may say something about the cool Dandiya Raas dances and doing the right thing in the face of injustice. 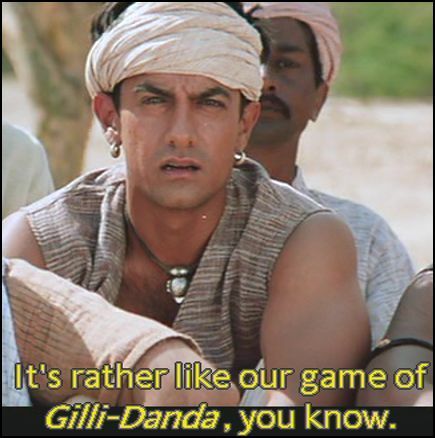 The BIG Game: The stakes are high, and Aamir Khan’s Bhuvan conveys this beautifully here. 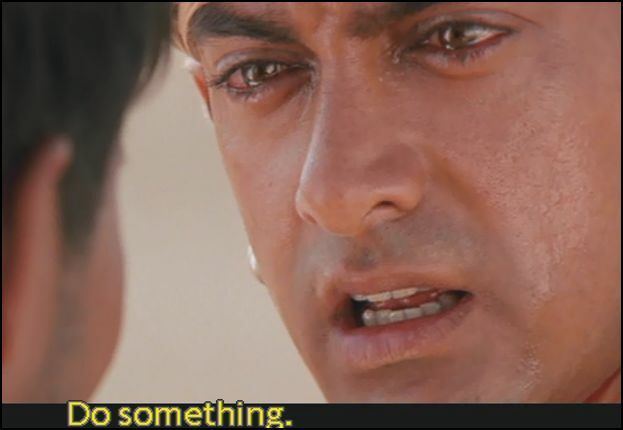 I believe Khan is very talented and expressing emotion through his eye, and this is a perfect example. 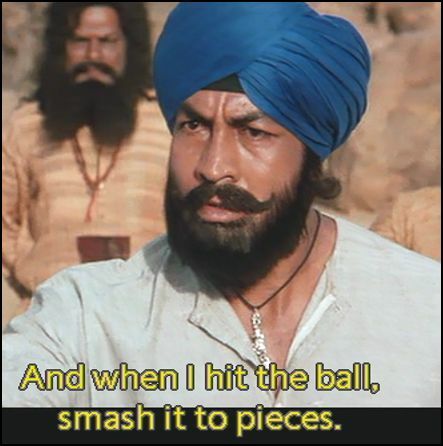 Dekh! I bet you’re even crying looking at the photos. I am. There are winners and losers. 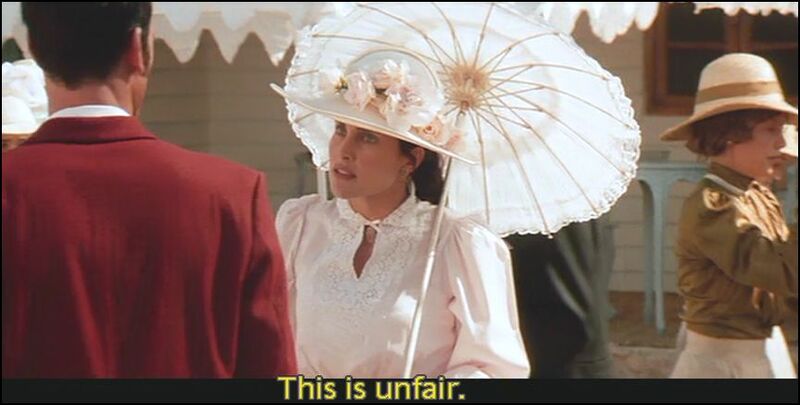 Elizabeth sees the joyful embrace between Bhuvan and Gauri at the end of the match, and instantly understands that her fantasy will never be a reality. 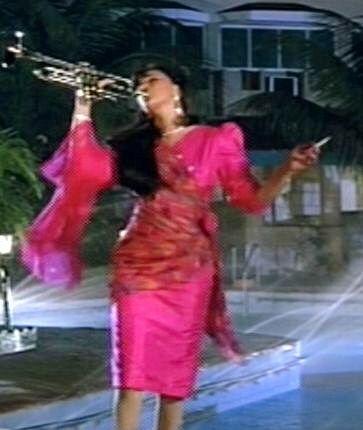 Bittersweet ending: She can’t have Bhuvan, but she can play Radha to his Krishna. 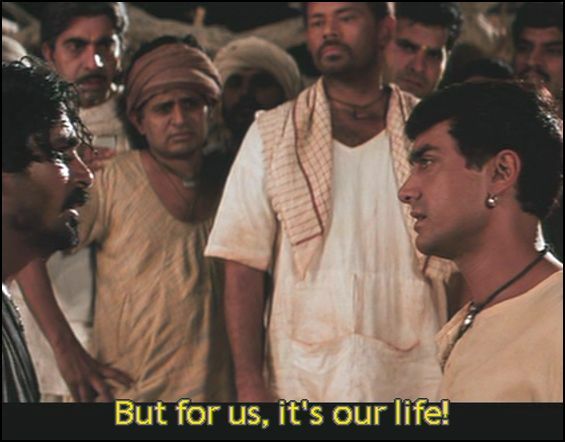 Finally, you may be wondering how all those gori cheerleaders made their way to India, and I’m here to tell you that Bhuvan and Lagaan are the reason. When Elizabeth returned to England, she started the first cricket cheerleading squad, and there after tradition has held that all IPL cheerleaders are to be white only. 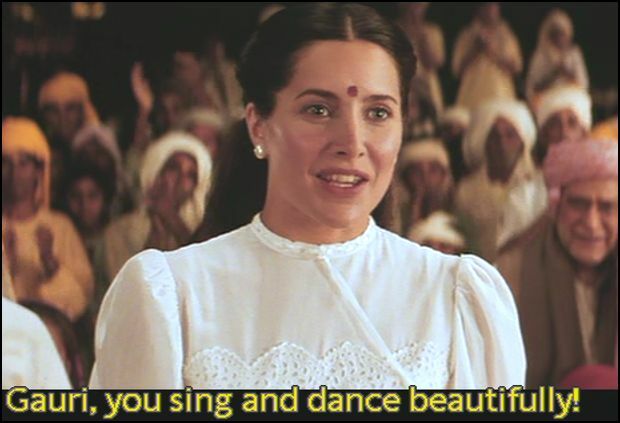 And speaking of Lagaan and the IPL, Did you see A. R. Rahman perform at the 2010 closing ceremonies? 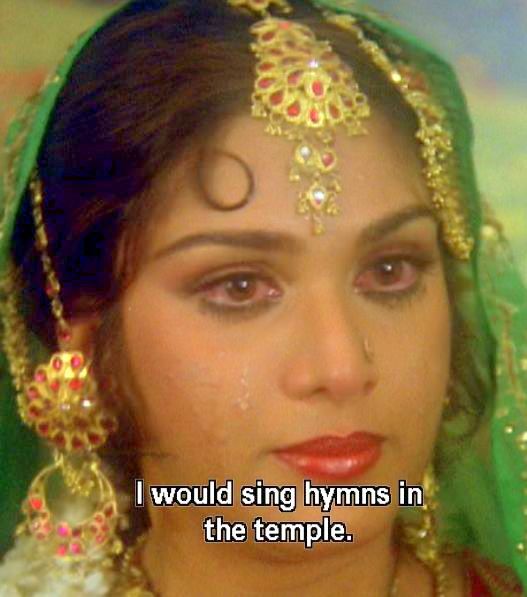 After exploring the part of Elizabeth in Laagan, I am tempted to do a series on the pantheon of gori extra patron saints of Bollywood. 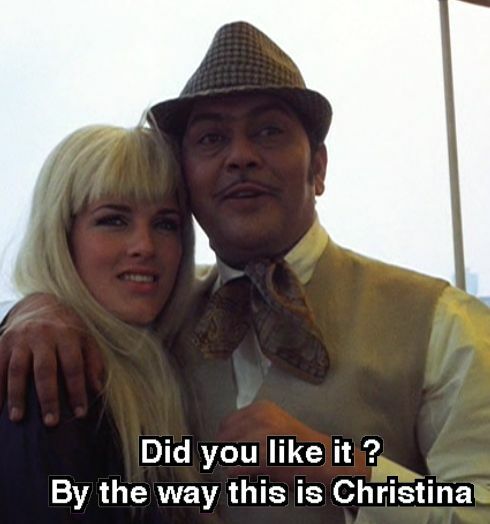 My personal favorite is the character Christina ( Barbara Lindley) from Purab Aur Paschim (1970). Opps! sorry, she’s been objectified as only a gori cold be, let me get a better picture of her….Ah, here, that’s better! And then there’s Katherine (Antonia Bernath) in Kisna: The Warrior Poet (2005)-yeah, I admit I saw it! So WHAT!?! Sue McKinley (Alice Patten) of Rang De Basanti (2006); and most recently Sarah (Sarah Thompson) of Raagneeti (2010). 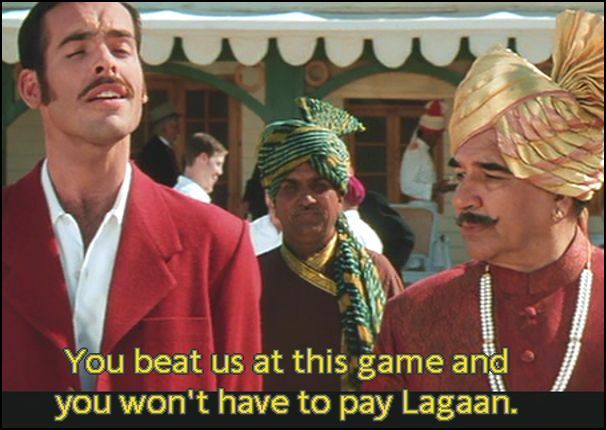 For more on Third Annual Lagaan Week: Ninth Anniversary Special, click over to theBollywoodFan-ji’s blog. 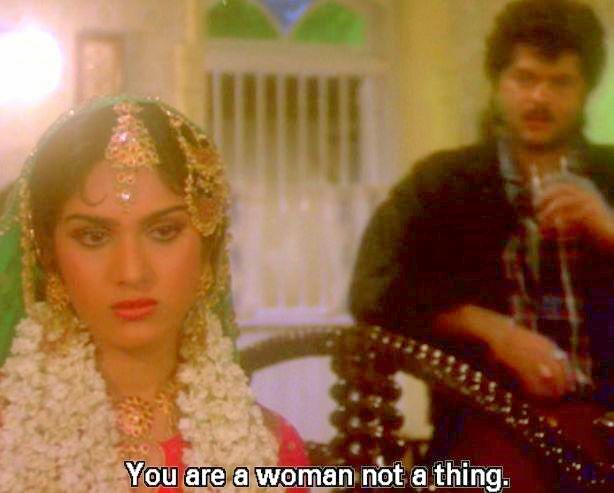 In honor of Beth Loves Bollywood’s international Khanna Family initiative to celebrate all film industry Khannas, Khanna-o-Rama, I would like to contribute a little write-up on Dayavan (1988). 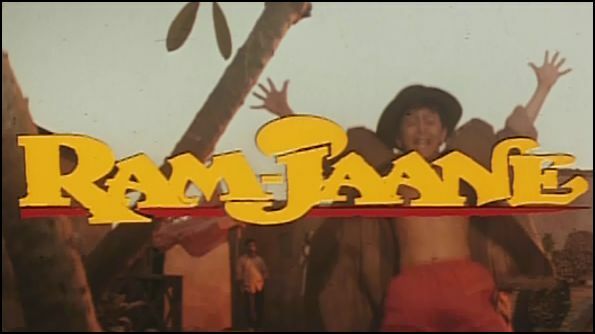 It starts out with poor little orphan, Shakti Vellu, aka Dayavan (kid version of Vinod Khanna) ending up witnessing his dad being unjustly murdered by some corrupt police. He has to flee his southern home and hide in Bombay for safety only to run into some punks on the seaside who try to beat and rob him. 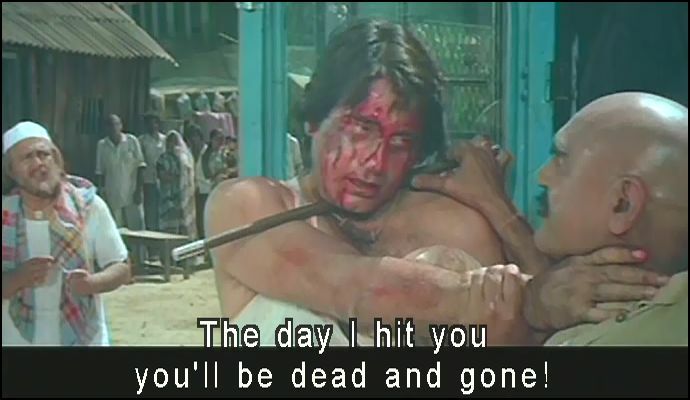 During this fight, Dayavan runs into a little ruffian, Shanker (kid version of Feroz Khan), who is impressed by Dayavan’s fighting skills, flair, generosity, piety, all that good stuff , which to me are the personality traits I want to believe the Khanna’s (Rahul, Akshaye, and Vinod) posses in real life, don’t you? OK, real life, whatever, back to the movie. 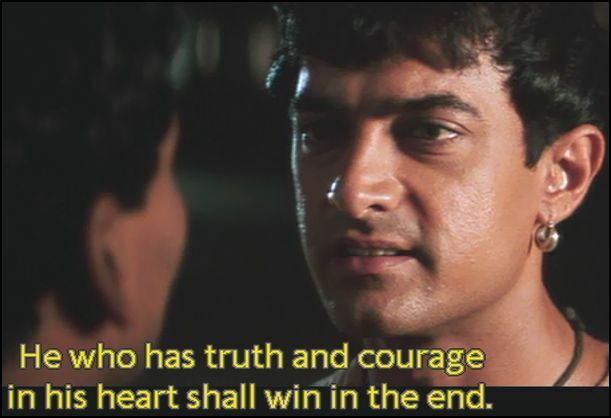 Dayavan sets Shankar straight about his true inner badass nature, for within the composed orphan, lies a heart capable of murderous rage with he witnesses injustice! I am too lazy to get into retelling you the plot of the film, so here’s a synopsis to suffice and then I’ll skip to the parts I liked best. 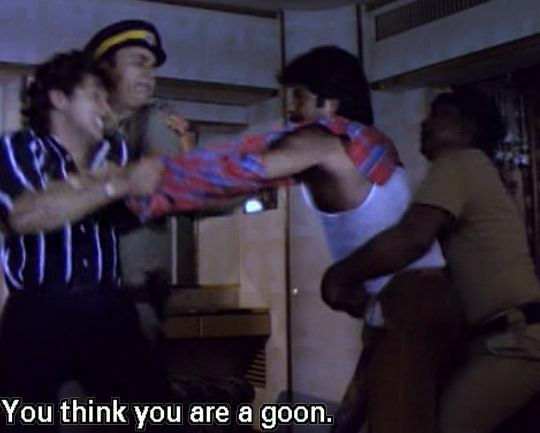 There’s the supreme policeman villain there to push Dayavan’s buttons, talk about a corrupt dude! 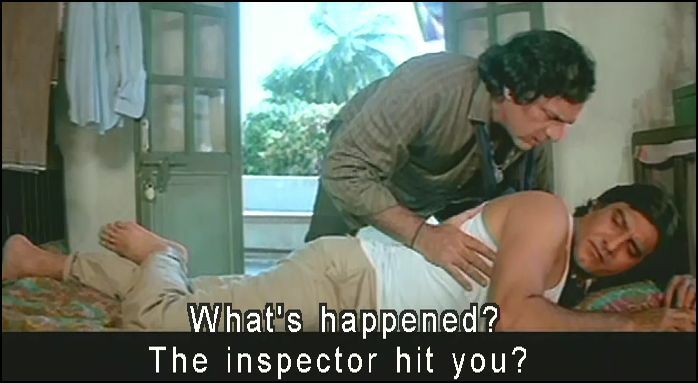 Inspector Ratan Singh (Amrish Puri!) 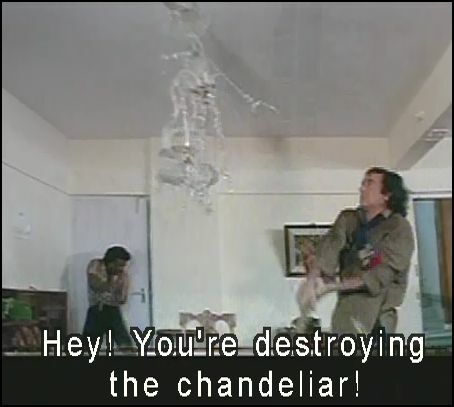 harasses the slum dwellers, especially a spicy widow played by Aruna Irani. 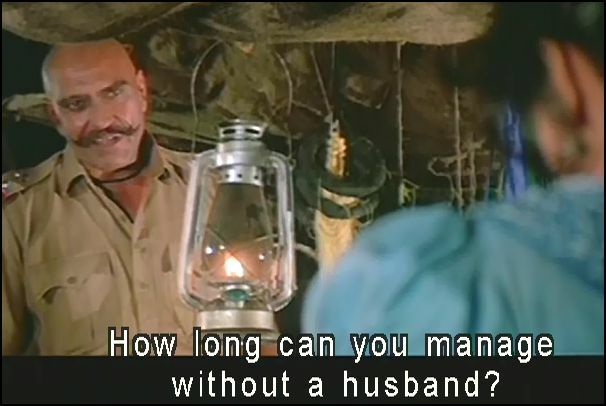 As a spinster, I’ve managed quite well for very long without a husband, Amrish-ji, I mean Inspector Ratan Singh. 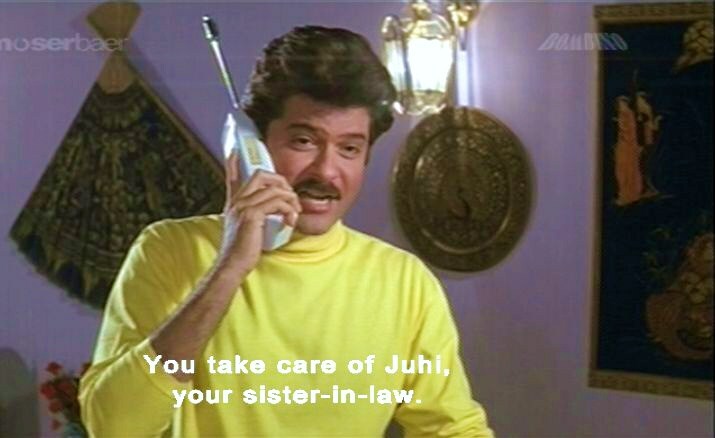 When the evil cop is not harassing widow Aruna, he lies about with the courtesans of the slums drinking hooch. 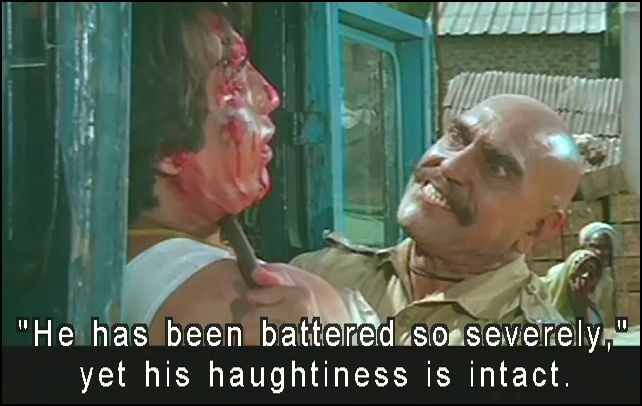 Enter Khanna hero, Vinod, who witnesses the harassment of the widow and breaks into a justice fueled fury, and executes a beat down on the inspector. How do you cheer up your buddy after an assault from a crooked cop? A night out at the local brothel of course! 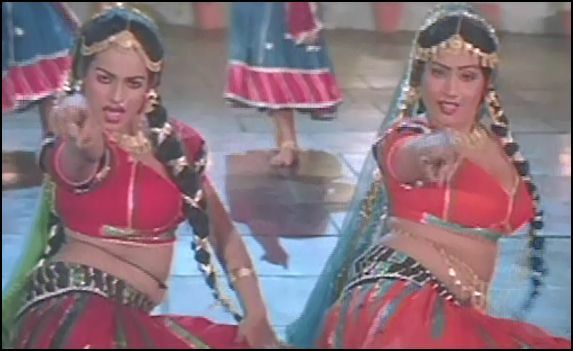 The tune I liked most from the film was Kahe Saiyan Teri Meri Baat with playback singers Ahsa Bhosle and Kavita Krishnamurthy (music by Laxmikant-Pyarelal, lyrics Aziz Qaisi). I couldn’t find the video separate from the film, so to see it go to 2:30 in the clip below to see the greatness. 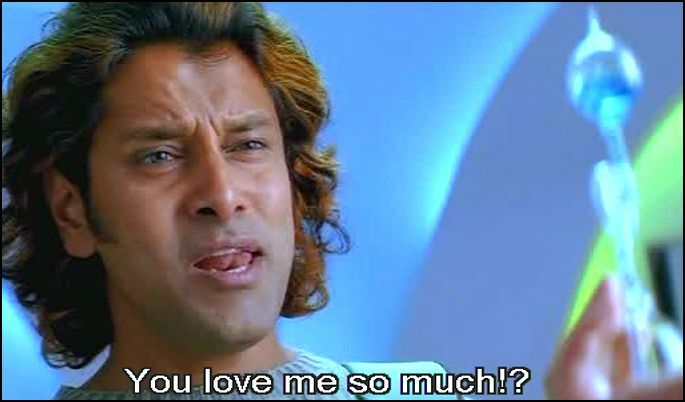 Shankar teases Dayavan about his lack of experience with women and arranges for him to have an overnight stay in a room at the brothel, if you know what I mean. Dayavan uses the room to sleep off his night of drinking and is awakened, as is so commonly the case, by the innocent prostitute, who is quietly, yet intensely studying for her exams. He gives her money to continue her studies, and leaves her untouched. Now doesn’t this remind you of the class and flair of what you’d imagine the Khanna’s to be like in real life? 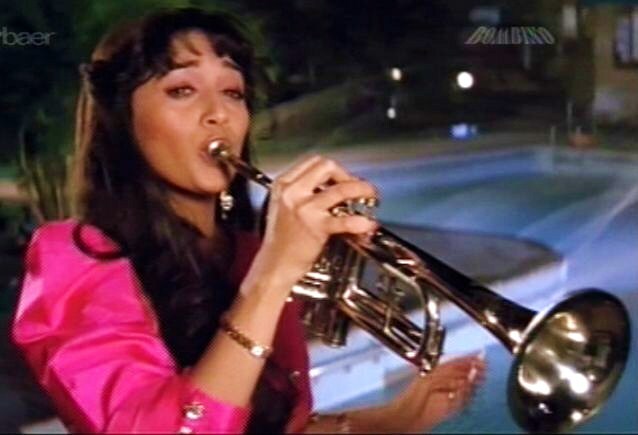 Anyway, I suppose I mentioned just then that Madhuri Dixit was in the film and I found it a waste of her talent since she really didn’t dance too much and her role was too brief. Kya waste hai! 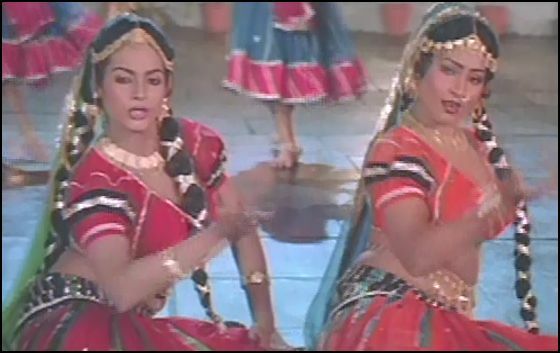 Here’s a taste of her dancing in a Holi number. 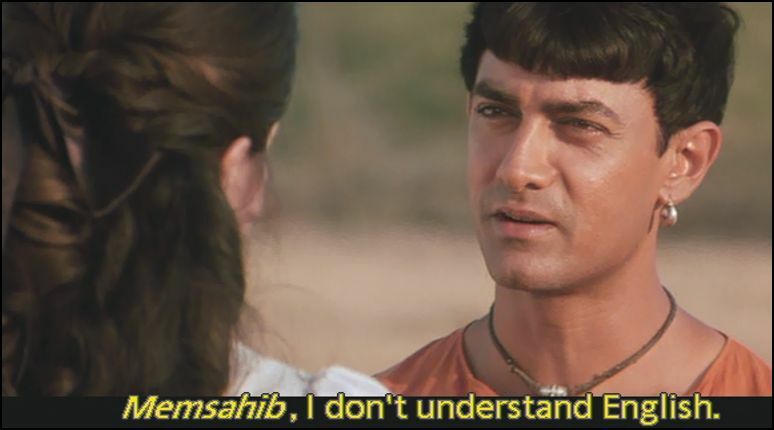 I don’t like seeing other people kissing, since it’s so private, so Hindi movies are perfect for me. 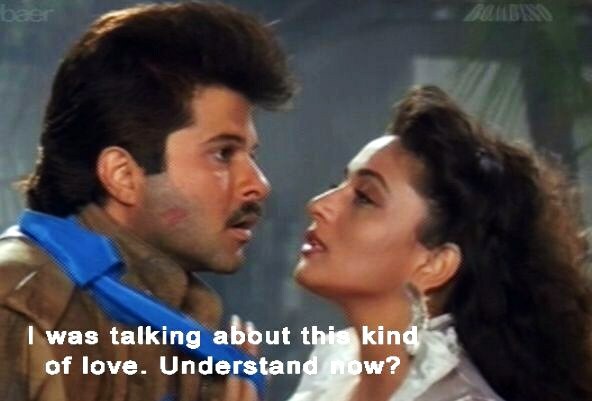 Dayavan has a famous kissing scene between Madhuri and Vinood, in fact if you google videos for the film, the kissing scene is most prominent and you can see it here if you’re inclined. 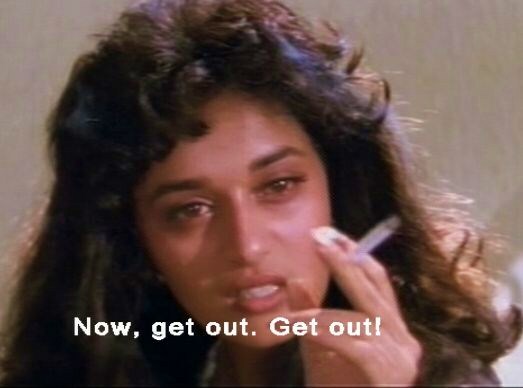 If you watch it please make note of how unconvincing Madhuri’s hands are in the scene, which reveals to me she was not comfortable filming it. 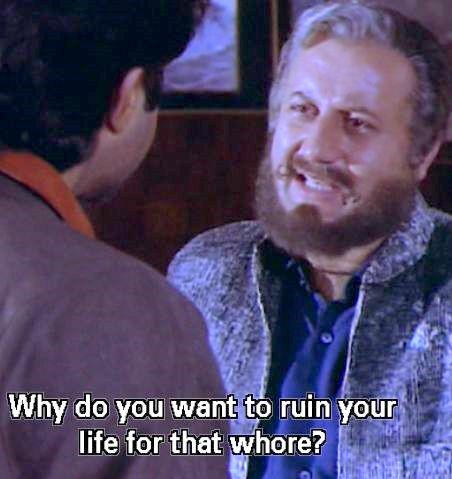 I mean wouldn’t most women have more gusto in their grasp if sharing a moment with Vinod Khanna? 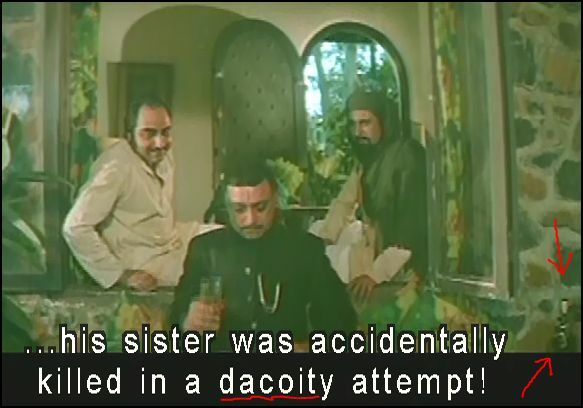 Double point for me here, since the screen cap includes a subtitle with dacoity (which is even better than dacoitery in my book) and a lone bottle of Johnnie Walker black label, which is obviously better than red label, isn’t it? 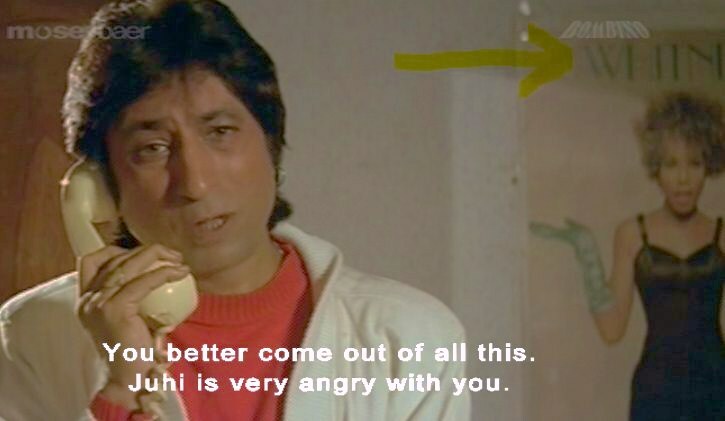 Look at Vinod Khanna’s intensity here when someone comes to him to get justice: Did I mention that Feroz Khan is in the movie? Seems like I’ve ignored him, but here he is, handling business! 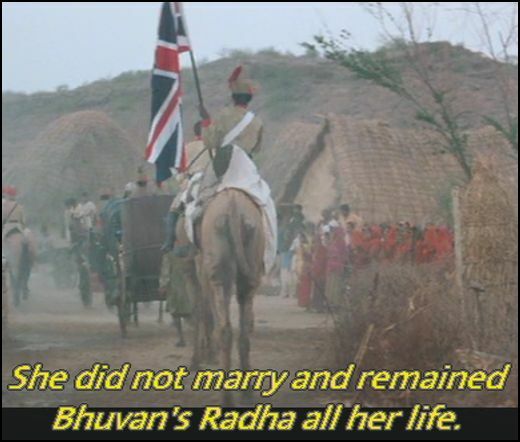 During the course of the film, Dayavan’s daughter (Amala)avoids him due to his illegal work, and ironically she marries a police officer played by Aditya Pancholi, who is cheated, since she declared herself an orphan. I don’t think there’s anything wrong with declaring ourselves orphans now and again. 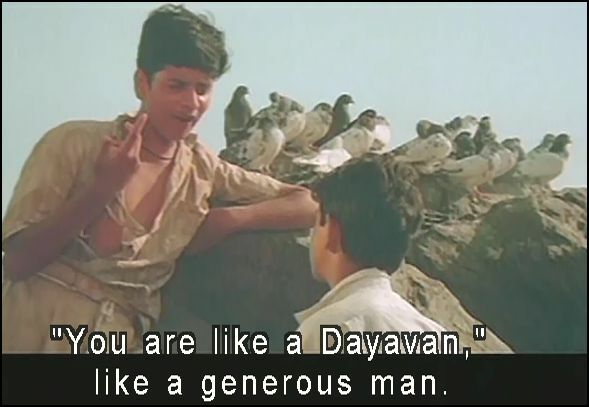 Dayavan is a remake of the Tamil film called Nayagan (1987). 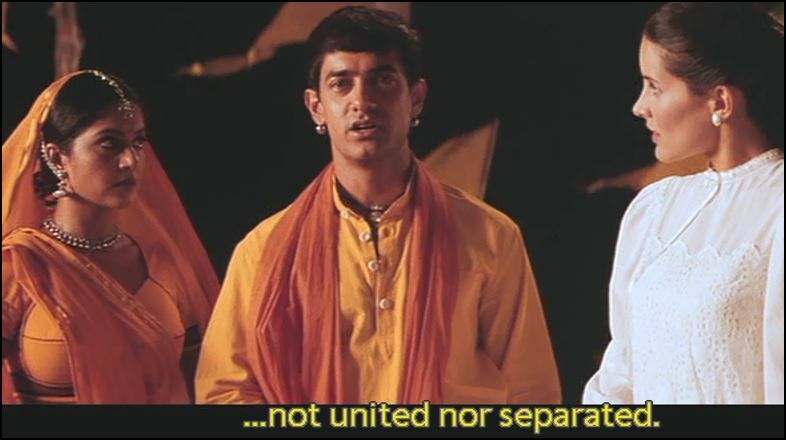 Have you seen the movie in its original Tamilian form? I want to see it now in its pure form! 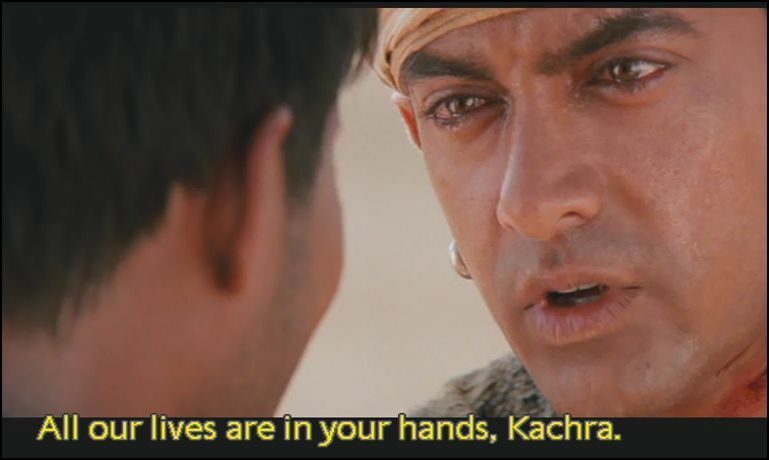 Since I’ve focused on Vinood Khanna here, I must throw a bit of attention on his sons, Rahul and Akshaye, to balance out my Khanna-o-Rama contribution. I will ask you the ask the timeless question that Briyanshu posed: Rahul or Akshaye? HERE’S THE ANSWER. 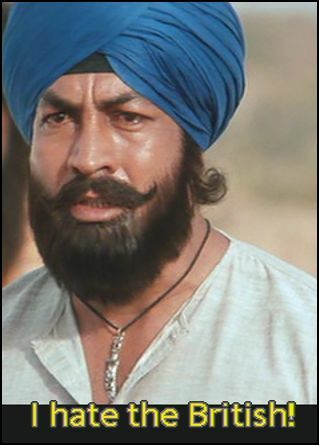 Now I command you to click on this feast of Khanna-o-Rama blog posts to fulfill all of your Khanna Family desires. 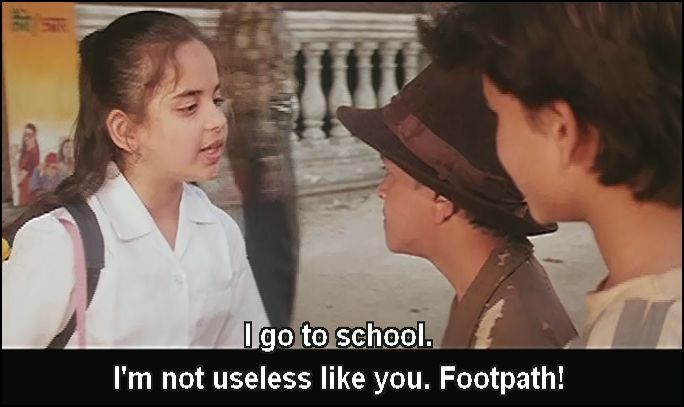 Ram Jaane (1995) featuring a mini SRK tribute. 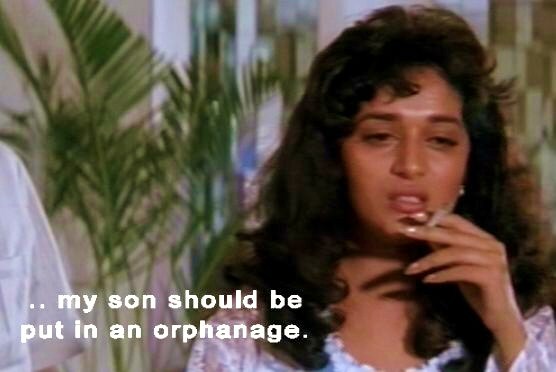 I love a good orphan film, and there’s not much more I can say about Ram Jaane than hasn’t already been said so well by Fortune City and Post Punk Cinema Club, but I can show you some of the parts that I really enjoyed. Just look at the cool movie poster from the film with bloody fisted, red headband wearing SRK and I think there’s ample evidence that this is a good film. So here we start with a feisty young street lad, Ram, who meets his childhood companions who he continues to befriend into adulthood. 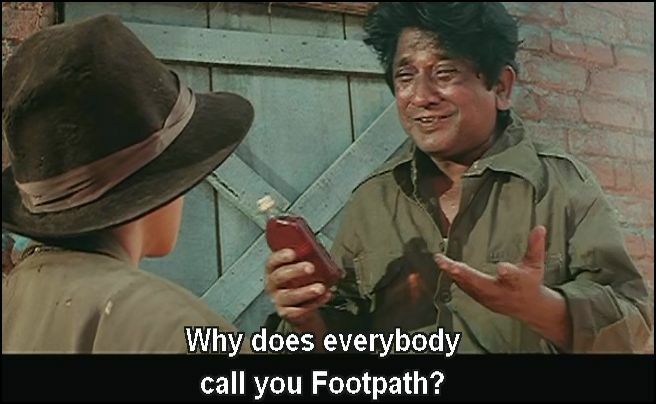 Prior to being named Ram, short for Ram Jaane, he was known as Footpath. 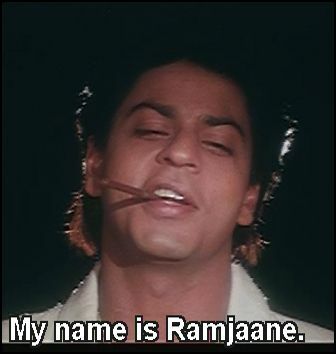 Eventually he becomes officially known as Ram Jaane. He’s a small time hustler with lots of style, the bad boy you can’t help but love. 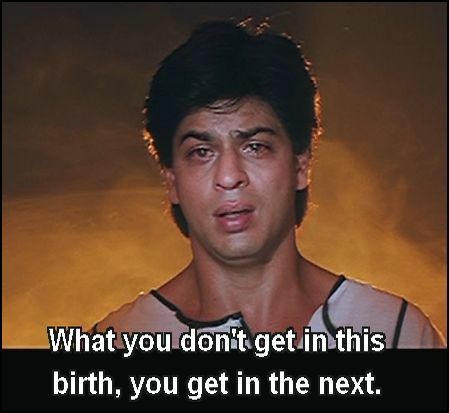 One day I’ll do a post on a collection of SRK screen captures from various films where he bleeds from the mouth. 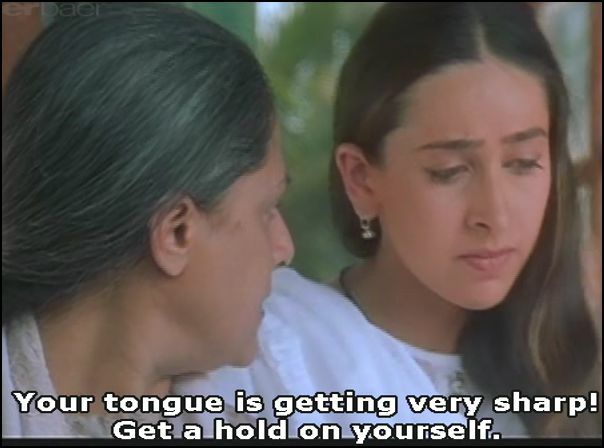 Devdas would have some good mouth bleeding material, na? The story has the love triangle plot between the 3 life long friends. After a bit of jail time, Ram reunites with his childhood pals Murli (Vivek Mushram) who helps the street kids, and Bela (Juhi Chawla). 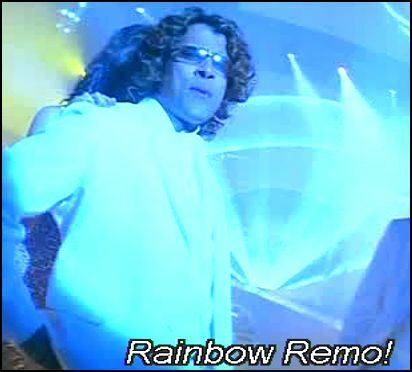 Ram falls for Bela, but realizes that his pal Murli also loves Bela, or is it Bela who loves Murli, details. 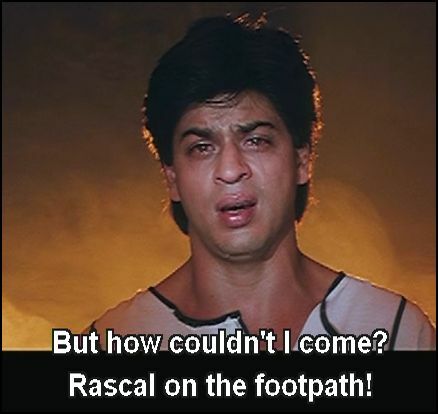 Either way, Ram Jaane becomes a tad jealous and insecure as a result of this situation. He begins to question his self worth. Ram eventually is overtaken by what the viewer may think is blind rage and he roughs up Bela, and eventually gives her a tight slap to the face, which he immediately regrets. BUT, but, but did he hit her out of a jealous rage? Did he hit her because of his inability to soothe his own psyche independently of his love object? Nahin! As it turns out he hit her out of love, because he knew his friend loved her and by hitting Bela she would turn to Murli for love. Problem solved! Hey, I’m not saying it’s a good idea, but it worked. 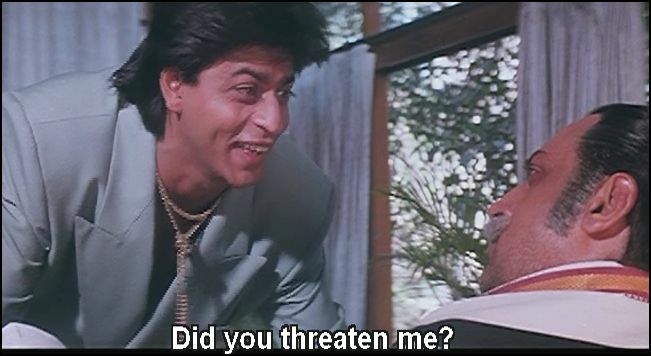 Now clear your mind from the disturbing image of SRK’s character being violent with his love interest, and enjoy the title track from the film Ram Jaane with playback singers, Alka Yagnik, Sonu Nigam, Udit Narayan, and music by Anu Malik. 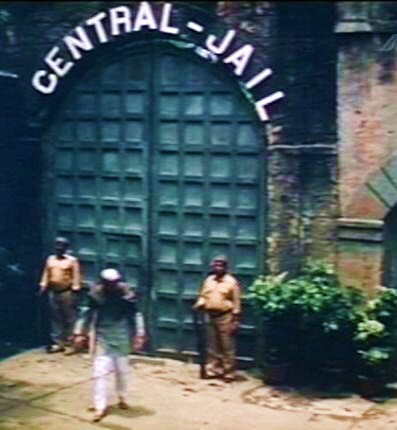 Did you notice the Central Jail on the mini set? 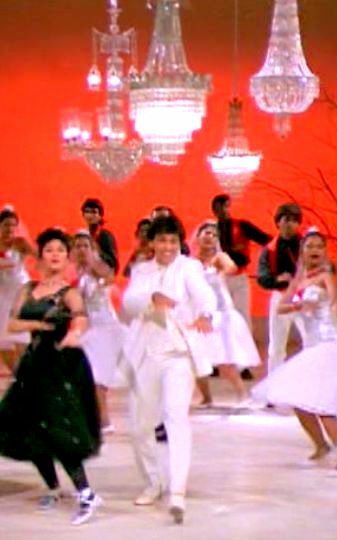 P. S. Due to heavy international pressure from the blogging community, and to avoid further mutiny from blog commenters, I must make mention of SRK’s style of wearing a suit jacket without any shirt underneath (think of the ring around the collar!) in the film and link in the song Pump Up the Bhangra. Thanks readers for keeping me on my toes! 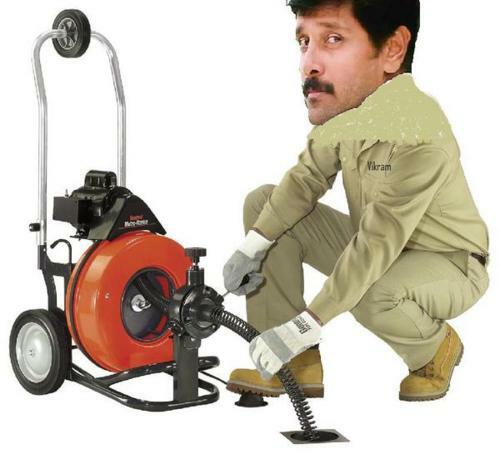 Now pump up some bhangra! 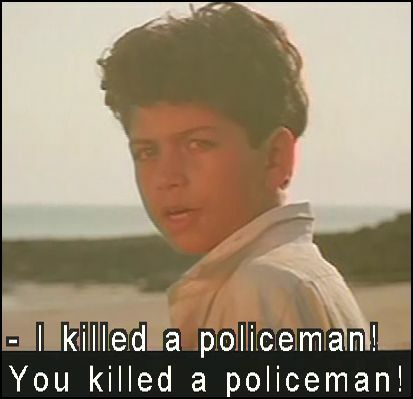 Fiza (2000) is concisely described at IMDB here: In 1993 Fiza’s brother disappears during the riots in Mumbai. 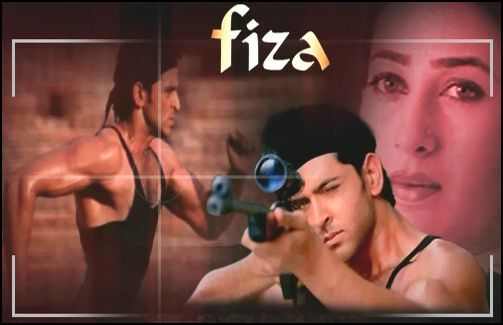 In 1999 Fiza is tired of waiting and goes looking for him. But there’s a little more to it than this, since when he’s gone he becomes a TERRORIST! And this makes me think, can I write the word terrorist without being put on some kind of a watch list? I’ll let you know. I suppose the movie’s poster hints at what happened to the lost brother. One of the first gorgeous songs in the film is Piya Haji Ali by A.R. Rahman (who will be embarking on a world tour this year) which plays as we see the stunning views of Haji Ali Dargah Mosque in Mumbai. 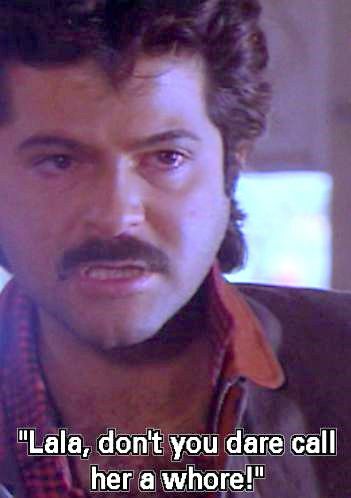 All the music from the film is composed by Anu Malik. 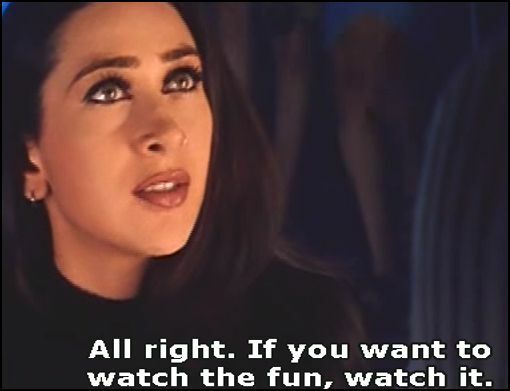 The Filmfare for Best Actress went to Karisma Kapoor, and Best Supporting Actress went to Jaya Bachchan for their performances in Fiza. 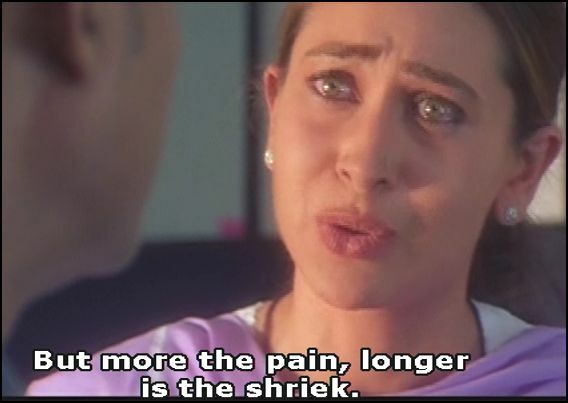 I always enjoy the intensity Karisma Kapoor brings to her characters, and for my tastes, the more hysterical the better! Kapoor has plenty of opportunities to be her most animated and outraged best in portraying Fiza. Fiza sometimes goes out to the club and on one occasion she seems to attempt to pick a fight through a dance. It’s been a while since I’ve seen the film, but I’m sorry to report that I think this was a girl fight over a guy. I hate to see the ladies stoop so low, but hota hai. Fiza has a fiery personality as it is, but too often she is pushed to the limit and her very sharp tongue and tantrums are justified. There are some scoundrels who follow her making lewd comments and generally sexually harass her; as they say in India they are eve teasing. Isn’t that a crazy term, twisting the fault back to the woman? Idiots! They go to a further level at taunt her with threats of throwing some acid at her. Look how casually these n’er do wells toss up the acid bottle here: Well, boys will be boys afterall, (kidding) and nobody messes with the Fiza, and she just snatches the bottle of acid, taking control of the situation! 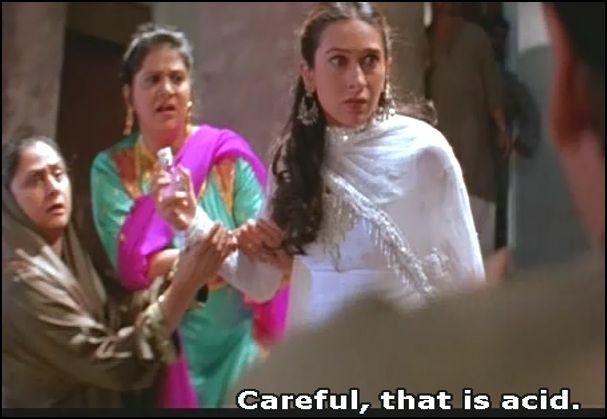 If Fiza can speak her mind in the face of extreme harassment, have cool nightclub dance challenges, can’t she go to infiltrate some top-secret terrorist group to try to find her missing brother? YES SHE CAN! So she sheds her salwar kameez and puts on her polar fleece jacket, some acid wash jeans, and her backpack and heads Kashmir or where ever they train terrorists, to handle things! Does she have time to buy a puppet? NO! After slipping on her high waisted, acid wash jeans, Fiza happens upon Shusmita Sen grooving out to Mehboob Mere, with playback singers Sunidhi Chauhan and Karsan Sargathia. 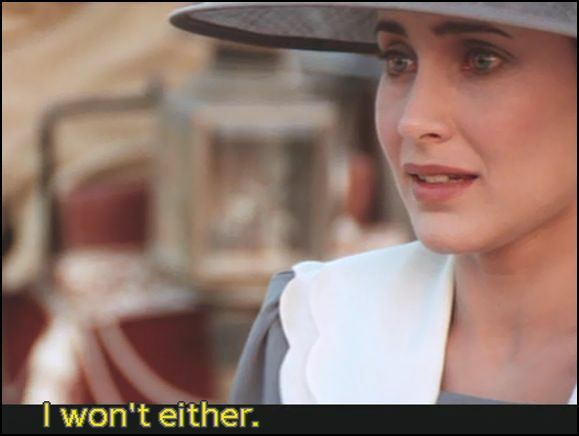 I was listening to Curry Smuggler’s podcast last week, and they made reference to the film, which reminded me that in my ever-growing backlog of movie screen caps, I had several images from Fiza. This was reminder enough to help get to posting about it. It’s the eclectic mash-up of Mehboob Mere with Slave 4 U by Britney Spears (which was based on Nasty Girl by Vanity 6 ) that reminded me to do this post. You can find that HERE: episode 2 track 4. Fast forward to find that Fiza locates her radicalized brother outside of a gift shop. Fiza brings her brother back to Mumbai, but he’s different, sort of stressed out and tense since he’s an undercover terrorist! 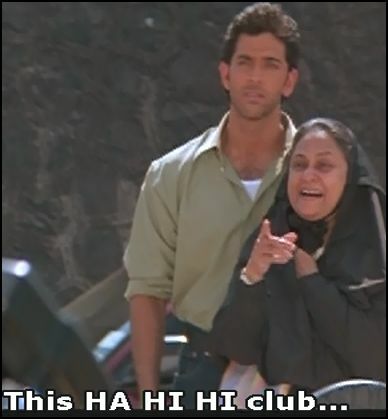 Mom tries to help him out by taking him to a relaxation/friendship group in the park called the Ha Hi Hi club, lead by Johnny Lever. I think a better naam for the club would have been The LOL club.